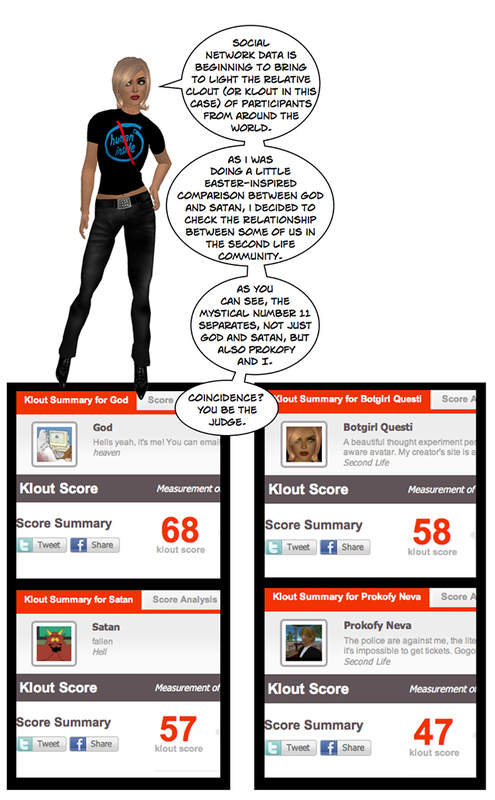 Botgirl's Digital Playground: Klout Easter Battle of the Titans: God vs. Satan and Botgirl vs. Prokofy. Klout Easter Battle of the Titans: God vs. Satan and Botgirl vs. Prokofy. Well, considering that Satan has had several thousand years at least, you have to admire coming up in the ranks that quickly in a comparatively short period of time.